The feds have set aside $20 million for a homeland security headquarters in South Philadelphia, according to city officials who are seeking approval from the city council to lease the old Army Quartermaster Corps complex. Federalized fusion centers are designed to monitor the political beliefs of American citizens. There are currently dozens of so-called intelligence fusion centers around the country (see a full list here). The centers specialize in gathering intelligence and sharing it with the CIA, the FBI, Department of Justice, the Pentagon and state and local governments. State and local police departments provide both space and resources for most fusion centers. 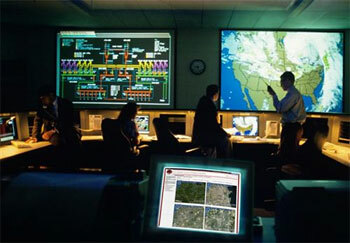 Analysts working for fusion centers are drawn from DHS, local police, and the private sector. Fusion centers operate tip hotlines and also solicit intelligence from public employees. In 2009, Alex Jones received a document from an anonymous source within Missouri law enforcement. The now notorious MIAC report was drafted by the Missouri Information Analysis Center, a fusion center. It identified supporters of Ron Paul, Chuck Baldiwn, and Bob Barr as potential terrorists. Patriot groups, constitutionalists, pro-life advocates, and militia members were also portrayed as dangerous domestic terrorists by the Missouri Information Analysis Center. Infowars.com also covered a story detailing efforts by the Virginia Fusion Center to portray “militia extremists” as a domestic terrorist threat. The 2009 Virginia Terrorism Threat Assessment report produced by the fusion center in 2009 also listed Islamic terror groups including al-Qaeda. In early 2009, a Department of Homeland Security document was discovered listing “rightwing extremists” — returning veterans, Second Amendment advocates, opponents of illegal immigration, and militia groups — as potential terrorists. Discovery of the DHS report resulted in a national firestorm of criticism. In response, Department of Homeland Security Secretary Janet Napolitano issued a defensive clarification. “We are on the lookout for criminal and terrorist activity but we do not – nor will we ever – monitor ideology or political beliefs,” Napolitano insisted on April 15, 2009. In fact, monitoring the ideology or political beliefs of American citizens is precisely the agenda of the DHS and federalized local fusion centers. The growing trend of federalized fusion centers points to an effort by the government to establish a national police force with the active participation of the Pentagon and the CIA. City council members in Philadelphia, however, are not concerned about the very serious threat to liberty and political expression posed by the fusion center planned for their city. “I guess having a homeland security facility in your neighborhood makes you feel pretty safe,” said Councilman Darrell L. Clarke.